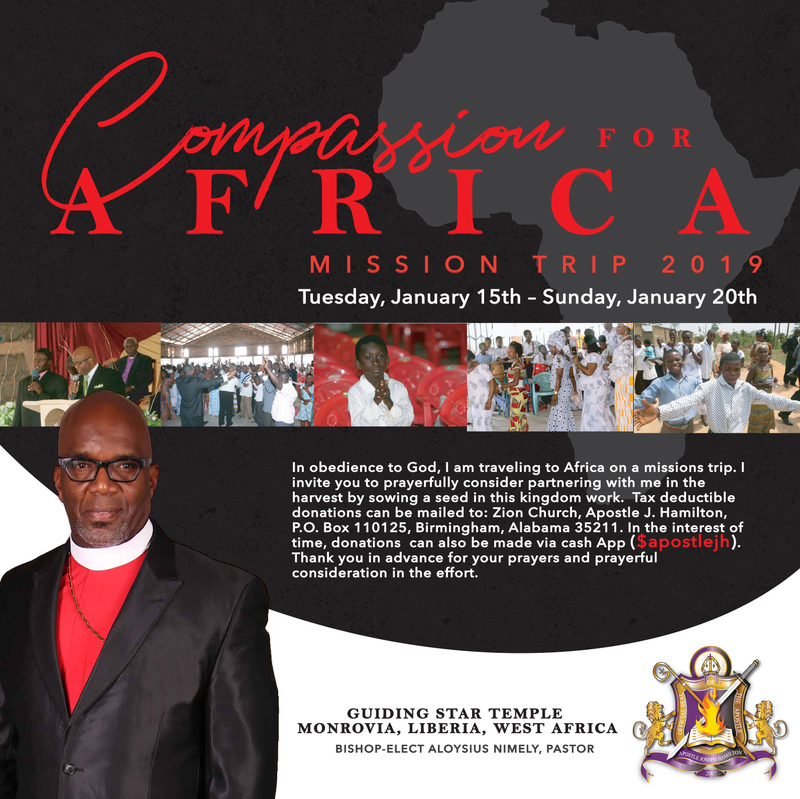 In obedience to God, I am traveling to Africa on a mission trip. I invite you to prayerfully consider partnering with me in the harvest by sowing a seed in this kingdom work. Tax deductible donations can be mailed to: Zion Church, Apostle Joseph Hamilton, PO Box 110125, Birmingham, Alabama 35211. In the interest of time, donations can also be made via Cash App ($apostlejh). Thank you in advance for your prayers and prayerful consideration in the effort.